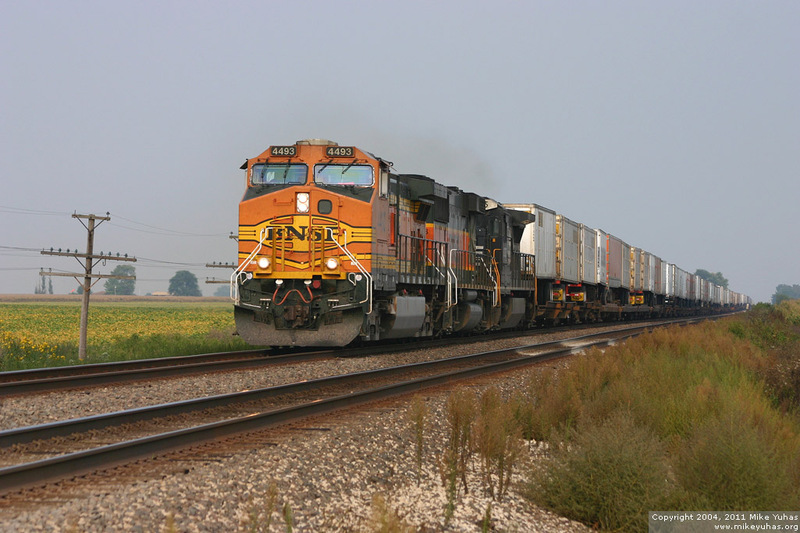 Another westbound BNSF intermodal train hustles by my favorite location at Leeds, Illinois. I'm set up at the grade crossing of East Eight Road, though I've always called it "E8." The soybeans across the tracks are turning golden.